144 pages. More than 100 photographs, maps and illustrations. Second edition rewritten with an extra chapter and appendices. Published by the Badsey Society, 2002. This readable book is everything a local history should be — rural characters spring to life from its scholarly pages and the passing events of two millennia in a peaceful corner of the Vale of Evesham are retailed with an abundance of illustrations, many now appearing for the first time. 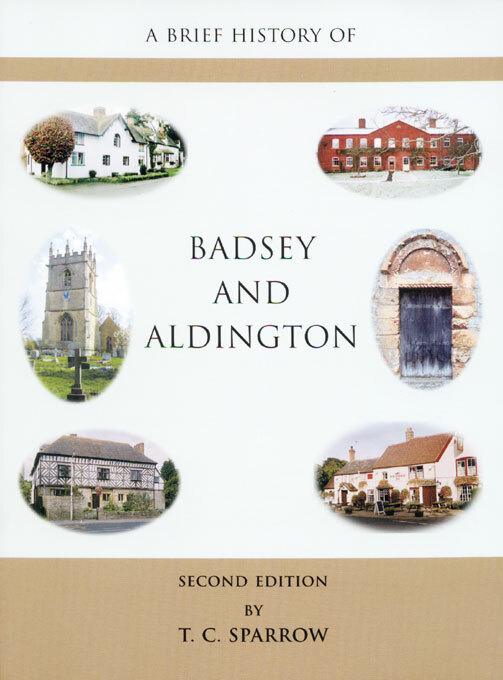 Anyone who has ever lived in, or known, Badsey and Aldington cannot afford to miss this unique chronicle of village life which, thankfully, has been recorded for posterity, with great dedication, by a lifelong inhabitant of Badsey. Terry Sparrow, one of the original joint authors, has rewritten the book with the support of a number of people in the villages. The Countryside Service of Worcestershire County Council has kindly provided a grant towards the cost of publishing the book.